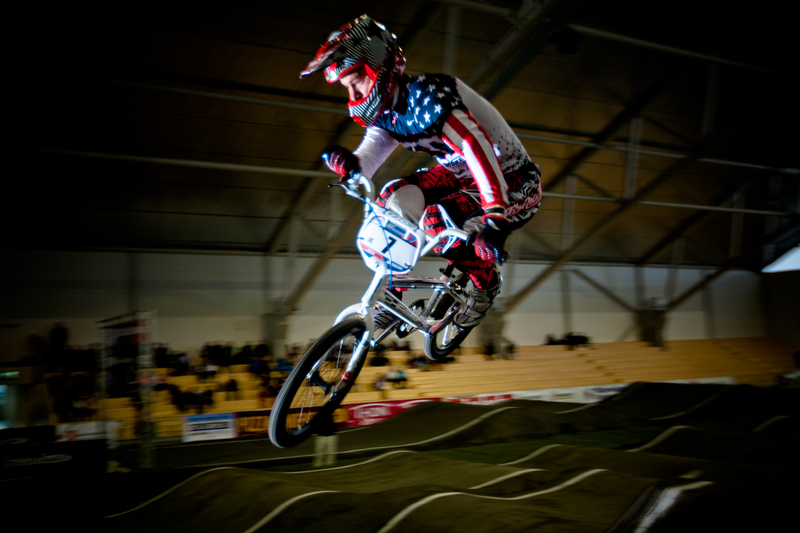 Randaberg, Norway 13 April, 2012 – Caroline Buchanan (AUS) and Connor Fields (USA) again claimed victory in the Superfinal Time Trials during the second round of the 2012 UCI BMX Supercross World Cup series in Randaberg, Norway. Less than a month ago this duo did exactly the same in Chula Vista California. That is remarkable considering this a small, fast, custom-build, indoor track compared to the much bigger, downhill, Beijing Olympic replica track. In other words, these two riders are unstoppable in their current form and can win anywhere. Connor Fields said that being happy makes the biggest difference.